Interchange Number: W21/5W;7515;T20;W21W;7505;7440;7443;7444NA. 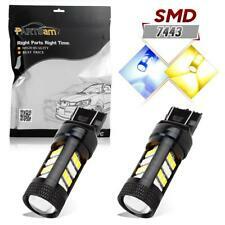 2x Super Bright Cree High Power LED Bulbs For Backup Reverse Lights 912 921 T15. 2X 42SMD LED HID White T10 Reverse Lamp Light Bulb BACK UP BACKUP XENON 194 168. P27W/7W;3156;3157;3057;4157;3357;3457;3757;4114. Dual Color: Different from before our sale item, now all of Cree 6 30W LED Cree 4 chip bright in Amber when turn signal, When back to Parking / DRL, also 2 Chip Bright in White. Interchange part number: 7443;W21/5W;7515;T20;W21W;7505;7440;7444NA. LED Type: 6-Cree Chip. If the LED Bulb hyper flash, wire a 6 ohm load resistor between Turn Signal Positive and Ground Negative. 3457 4057 4114 Amber/White Led,US Seller,Fast Ship! W21/5W;7515;T20;W21W;7505;7440;7443;7444NA. Application: Front Turn Signal Light / Switchback. "Amber-Off-Amber-Off" when Turn Signal on. If the LED Bulb hyper flash, wire a 6 ohm load resistor between Turn Signal Positive and Ground Negative. Cross Reference: 7440 7440A 7443 7444NA 7505 992 W21W T20. Application: Front Turn Signal Light. If the LED Bulb hyper flash, wire a 6 ohm load resistor between Turn Signal Positive and Ground Negative. 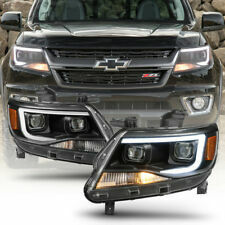 Fits 2015-2018 Chevy Colorado Models. This Pair of Tail Light Equipped With High Quality LED Illuminated, Long Lasting And The Brightest. 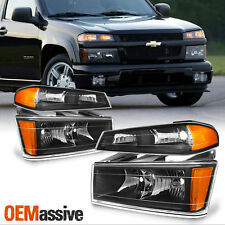 Fits 2015-2018 Chevy Colorado Halogen Type Headlights ONLY. Projector: The reflectors concentrate the hot spot directly underneath the step for distribution of light that is technically correct in giving a wider beam and aiding in distance vision. 2x White LED 7443 992 T20 Reverse Backup Light Error Free Bulb Cree High Power. 7443 W21/5W 7515 T20 W21W 7505 7440 7444NA. 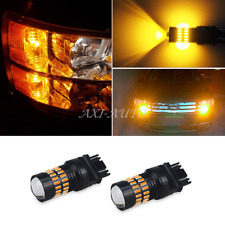 2x 1157 2057 7528 22-5730-SMD LED Turn Signal Amber/White Switchback Light Bulbs. Turn Signal / Parking Light Assembly Fits GMC Canyon 18-5931-00-1 TYC. 2004 Chevrolet Colorado Turn Signal / Parking Light Assembly Front Right. 2005 Chevrolet Colorado Turn Signal / Parking Light Assembly Front Right. Trending at $34.45eBay determines this price through a machine learned model of the product's sale prices within the last 90 days. 2004-2012 GMC Canyon. 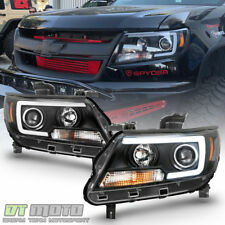 DESIGNED TO FIT2004-2012 Chevrolet Colorado. TAIL LIGHT. Sat - Sun: Closed. OFFICE HOURS. [ Infinity Black ]. ABOUT VIPMOTOZ. NOS New Old Stock OEM GM Part in Original Box! GM Part No. 19329247 Hollander Interchange No. 116-03304L Application: 2005 - 2008 Chevrolet Colorado ZQ8 Xtreme Edition Park Lamp Turn Signal, Left Hand Side This lamp is above the headlamp. Fits 04-12 GMC Canyon Pickup All Models. Fits 04-12 Chevy Colorado Pickup All Models. Solid Matte Black Paint Housing. 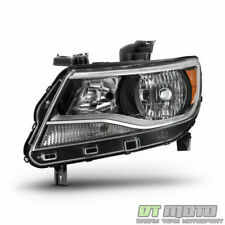 Compatible w/ Factory Halogen Headlight Models Only . Fits 2015-2017 Chevy Colorado 4-Door Extra Cab | Crew Cab Models. Not Compatiable with Factory HID Headlights . 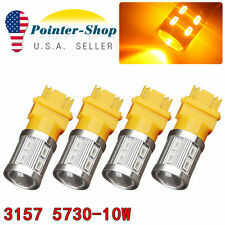 10 PCS Amber/Yellow 3157 3156 High Power 10W 5730 LED. Simply much brighter than Normal 68-smd and higher quality of 3157 type bulb you can buy on the market. Turn Signal Blinker Sider Marker Parking Light Bulbs. Cross Reference: P27W/7W;3156;3057;3157;4157;3357;3457;3757;4114. Note:You will get 2pcs FREE Load Resistors, so you can get rid of annoying Hyper Flash. 2pcs Load Resistors. 2pcs White-Amber Light. If the LED Bulb hyper flash, wire a 6 ohm load resistor between Turn Signal Positive and Ground Negative. Fits 04-12 GMC Canyon Pickup All Models. Fits 04-12 Chevy Colorado Pickup All Models. Dark Red Lens. Fits 04-12 Chevy Colorado Pickup Truck Models. Unless Otherwise Noted, Our Lights Do Not Include Bulbs, Though Occasionally Lighting Manufacturers Do Include Bulbs in the Lights. Bumper Lights Helpful Links. 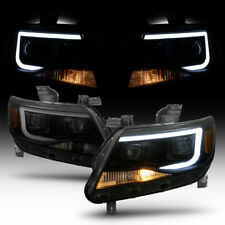 ATTN: Compatible w/ Factory Halogen Headlights Models. 2015-2017 Chevy Colorado. ATTN: Not Compatible w/ Factory HID Headlights Models. SMD LED Type, Halogen Bulb Type. Compatible With Product Secure (Resistor Seal on Light): Our built in Load Resistors give our products no troubles to your vehicle like hyperflashing, bulb-out indicators, or error codes. Those are NOT problems of LED bulb and NOT covered by warranty. We provide1 year warranty. For turn signal lights, you might need to add a pair 50W 6-Ohm load resistors to prevent the LED bulbs from hyper flashing in order to work properly. ( Blinker will flash hyper fast for regular leds).